Strong aluminum and steel construction make this a fence that will assure accurate cuts and provide a lifetime of enjoyment. We were so impressed by its performance we now use it on our G0444 and G0444Z contractor saws. Lighter in weight, yet just as strong, this fence is sure to be a hit with contractors and in the home workshop. Cam-lever front locking mechanism and torsion box design allow this fence to fit on just about any table saw without the need for a rear locking mechanism. 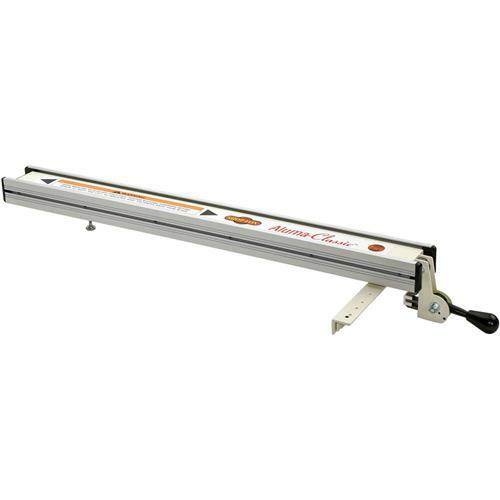 Includes long rails for wide panel cutting up to 50", a self-adhesive measuring tape and adjustable magnified cursor for quick positioning.